Crowley’s North American trucking and logistics team is your single source for a complete supply chain solution and offers a wide range of services to optimize supply chains, including full truckload, less-than-truckload (LTL) and intermodal rail. 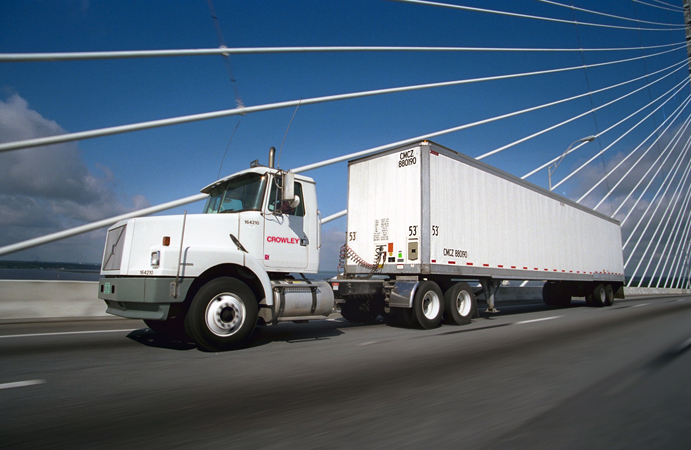 When working with Crowley, you have complete access to all our services, which are bolstered by 125 years of proven experience in the logistics and transportation industry. Crowley leverages its buying power and global relationships to provide high-quality LTL services at fair prices. We partner with other top asset-based LTL providers and use our own network of Crowley warehouses to broker custom solutions for you.